Macho is an album by Hungarian guitarist Gábor Szabó featuring performances recorded in 1975 and released on the Salvation label. The Allmusic review states "This is a tough, streetwise, commercial jazz album that has plenty to offer to anyone with an open mind. In the pocket, groove-soaked, and flawlessly executed". 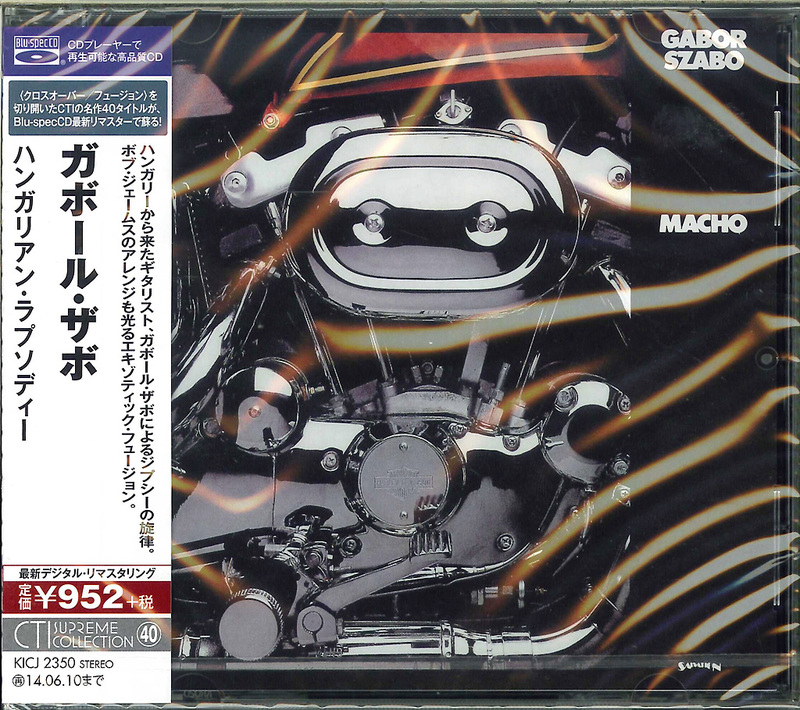 Macho is right. 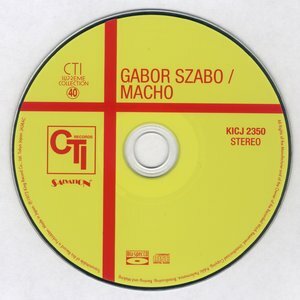 This 1975 album is one of the headiest in the Hungarian-born guitarist Gabor Szabo's entire catalog. Produced by Bob James, the album is deep in fretless Fender basslines courtesy of Louis Johnson, funky Rhodes pianos and synthesizers from James and former Mother of Invention Ian Underwood, guitar savvy from Szabo with Eric Gale on rhythm, and a horn section that features no less than George Bohanon, Jon Faddis, and Tom Scott, with the venerable Harvey Mason Sr. on drums. This is a tough, in-your-face, funky soul-jazz band. Szabo's sense of camp was eternal as he covers, disco-style, Franz Liszt's "Hungarian Rhapsody #2," but slips into the souled-out groove-jazz of his own "Time," without a seam. 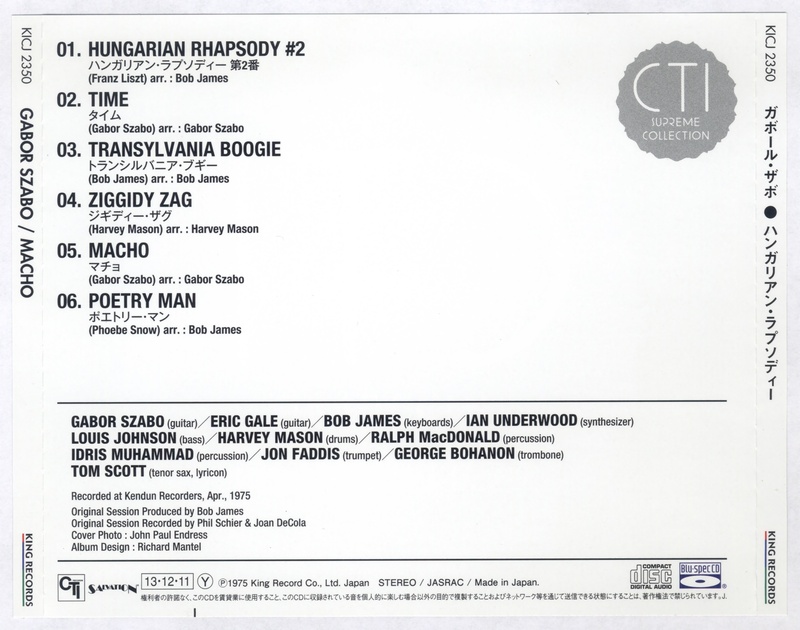 Szabo's playing, with its mysterious, liquid runs and razor sharp melodic sensibilities, is centered here by James, who attempts to make Szabo's six strings be at the absolute dead-center of the mix. 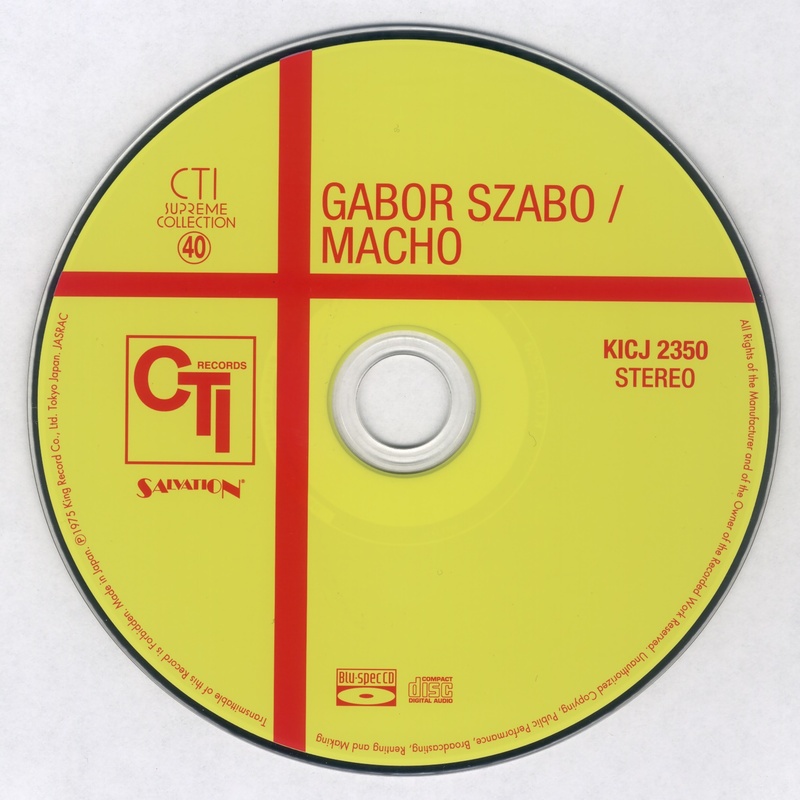 Tracks like James' own "Transylvania Boogie," (the long title track), and Phoebe Snow's "Poetry Man," offer a glimpse of Szabo as the consummate melodist: with teeth. Harmonically, this band was as disciplined as the charts would allow, giving nothing away in the ensemble sections. This is a tough, streetwise, commercial jazz album that has plenty to offer to anyone with an open mind. In the pocket, groove-soaked, and flawlessly executed.